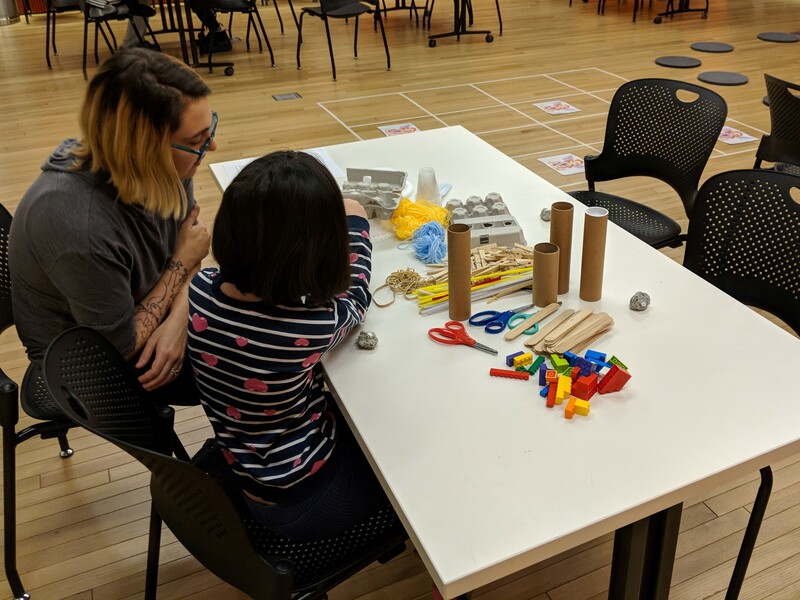 At the 53rd Street branch of the New York Public Library, STEAM programming is in high demand, especially with our youngest library users. So how do you keep kids engaged after months and months of weekly programs? Fellow children’s librarian Grace Zell and I found an exciting new approach to STEAM programming from an unlikely source: Choose Your Own Adventure (CYOA) novels. For those less familiar with the CYOA set up, these stories are written from a second-person perspective and allow readers to step into the role of the protagonist, choosing the actions they take along the way. While the original series ran from 1979-1998, a relaunch began in the early 2000s and new titles, in a variety of genres and reading levels, are still being published. Grace and I created three distinct program plans, each featuring a series of STEAM challenges. These included coding, architectural, engineering, and simple puzzle solving challenges. Each program was intended to last 45 minutes to an hour and was designed for school-aged children. Here you can find the plan for one of these programs, featuring a Goonies-style treasure hunting theme. While we had a lot of fun designing these plans – and our young patrons really seemed to enjoy the story structure they lent to our typical STEAM programming – there were of course issues that arose along the way. Our first program, a space-themed adventure in which the children found themselves stranded on a malfunctioning ship, only took about 25 minutes to complete as the kids took what Grace later referred to as “the path of least resistance.” We therefore made sure every branch of our next two plans kept the children engaged for a minimum of 40 minutes in actual project time. You may notice that, in order to do this, the pirate-themed adventure plan is a bit cumbersome; Grace was able to improve somewhat upon this issue when designing our fantasy-themed adventure, but the truth of the matter is that, in order to ensure we used up the entire hour-long program block, either children had to be given fewer decisions to make along the way or our plans needed to be extremely detailed. In addition to this issue, while our program was designed for school-aged children, we mostly had 3-5 year olds. This meant the only feasible way to run the program was by breaking into two teams. Not only did this cause a lot of personality clashing, leading myself and Grace to spend most of our time smoothing over team conflicts, it meant votes had to be taken to decide our course of direction – leaving some children without the actual “choice” part of the program. After running all three programs, we came up with two possible solutions for this issue in the future: 1) We would simply not allow children under 5 into the program, increasing the likelihood that a larger percentage of children would be more capable of leading themselves through the challenges; or 2) We would require parents to participate with their children, leading them from challenge to challenge while Grace and I facilitated. A possible solution to both of these programming hiccups would be to run the CYOA theme as a more passive drop-in program. This could either allow you as the librarian to work individually with children as they came or encourage older children and parents with younger ones to tackle the program themselves. The most important lesson Grace and I continually learn is that you don’t have to be an expert to do STEAM programming. Find the style that works for you – whether it be CYOA, open play, or a more structured project – and have fun; the kids will do the rest. Today’s guest post was written by Kaitlin Frick. Kaitlin is a Senior Children’s Librarian with the 53rd Street branch of the New York Public Library. 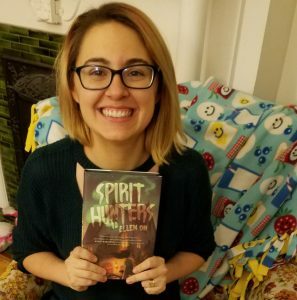 Aside from her regular programming, Kaitlin plans and implements a twice-yearly after-hours family event as well as a monthly author program focused on booktalking diverse titles for children and teens. She can be found on Twitter @UnheardMelodies or reached via email at kaitlinfrick@nypl.org.